In Fig. 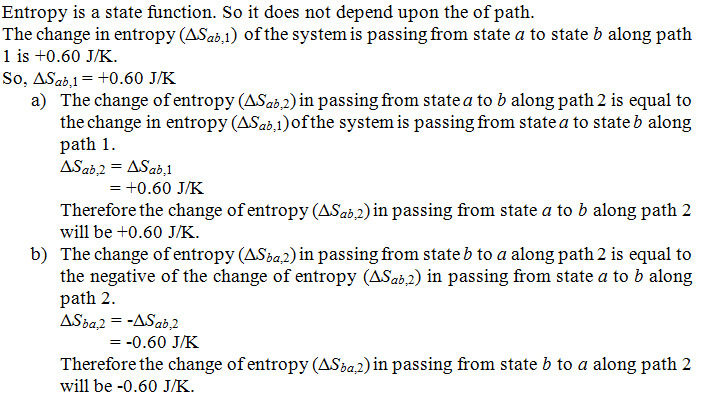 24-18, suppose that the change in entropy of the system in passing from state a to state b along path 1 is + 0.60 J/K. What is the entropy change in passing (a) from state a to (b) from state B to a along path2?